Othering a Guest Shan Morgain. Actually managed to get the pics to work this time. All went well except for having to climb THREE flights of stairs because no one fixed the lift. You presented with considerable authority and passion for your subject, you used humour and had a style that was informative, while inviting and informal. Matt thought I should have made my concept of othering more specific. The 20 mins time limit is a tyranny! but the criticism is an important one. Perhaps a quick image display next time. Even more interesting Matt questioned me on whether the othering of Guest was by academic or popular response? I did not know how to answer at first which shows how good the question was. I returned to it later, and explained that the attitudes I had seen were in the Introduction sections of the Mabinogi books, including popular translations. So although the othering is at its core, academic, there are readers ‘in the wild’ who do read introductions and ould be influenced by them. Also key points like Guest being an English upper class lady are on many websites where the Mabinogi is briefly introduced. Thanks Matt for a generous review and thoughtful critique. 21 Sept. 2013 A tour of the Mabinogion sites with Sioned Davies. Food and drink: Not included. There will be an opportunity to buy lunch on the trip. Recommended clothing: Comfortable shoes; warm clothing; raincoat. Dwy iaith, dau ddiwylliant? / Two languages, two cultures? Sept 6 Council Chamber, National Library of Wales. Finally my first presentation this time round in my second postgrad life. Very nice to return to CAWCS at Aberystwyth as a (junior) presenter. With dear John at my side of course. The hotel was rubbish, the dinner booked on arrival was not at all as ordered. No breakfast in the morning, most unpleasant man who when we left (on time) at 9am ordered us to go which we were glad to do. Then we got in early, tested my presentation images, all worked fine. But no breakfast did mean being tired as the long morning passed. When it was my turn the tech stubbornly refused to run! No carefully prepped pics. Embarrassing. Everyone was extremely kind about it, and understood. In the end my little piece “Here Be Dragons” on the bridging between two languages and its challenges, was well received. M. Wynne Thomas turned out to be not at all a stuffed shirt trailing titles, but a canny and generous elder statesman. Mary Constantine was strikingly efficient and welcoming. The debate was fascinating; it reminded me of early feminist days when we felt so grateful of chances to get together. Good to feel less isolated. Charles Sullivan has told me that Routledge Revivals List has agreed to reprint his key 1997 anthology. It is currently ONLY available from academic libraries, unless you’re lucky to have bought one years ago. Sullivan, Charles William III, ed. 1996. The Mabinogi: A Book of Essays. NY: Garland Publications. This is great news as this anthology collects together the array of work of the previous two decades, when Mabinogi perspectives changed radically from the past. I’m aiming to complete my general review of Mabinogi scholarship summer 2015 which will generate lots for the site. In the autumn I will move to more focus on my own theories. However these are already leaking into my presentations. Thurs 19 FEB. 3pm. SWANSEA MEMO (Centre for Mediaeval and Early Modern Research) Director: Prof. Daniel Power. Reading group for mediaevalists. A triadic prompt for discussion. 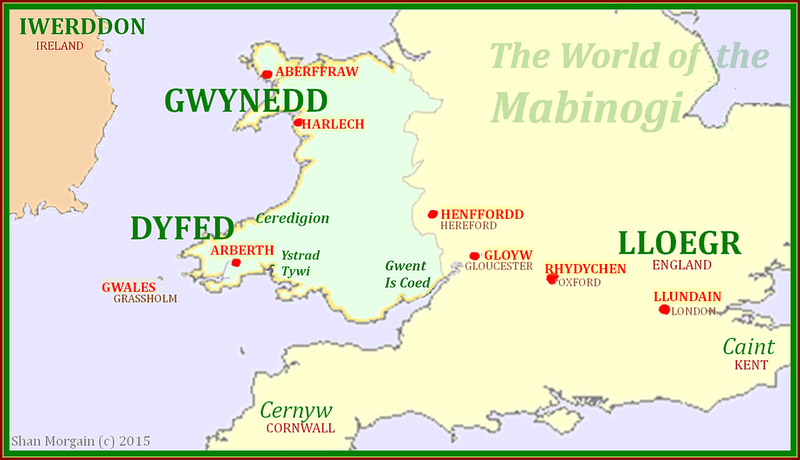 1) The Mabinogi. 2) Rhiannon as ‘Tour Guide’ to my research. 3) This website as a research tool, why and how. More info. Presenting Sat. 10.45 ‘Exemplars and Shadowplay’ Mabinogi as exemplar of lordly rule; polarity of ideals and cautionary models. EXHIBITION The first time all the original Mabinogi manuscripts have been in one place. Now on display at the Llyfrgell Genedlaethol Cymru – the National Library of Wales at Aberystwyth. With thanks to Hilaire for circulating this information. Sioned Davies ‘Performing the Mabinogion’ 17 July at Chapter Arts, Cardiff. FREE. a discussion regarding how we can re-invent these tales (or individual episodes) for a modern-day audience. 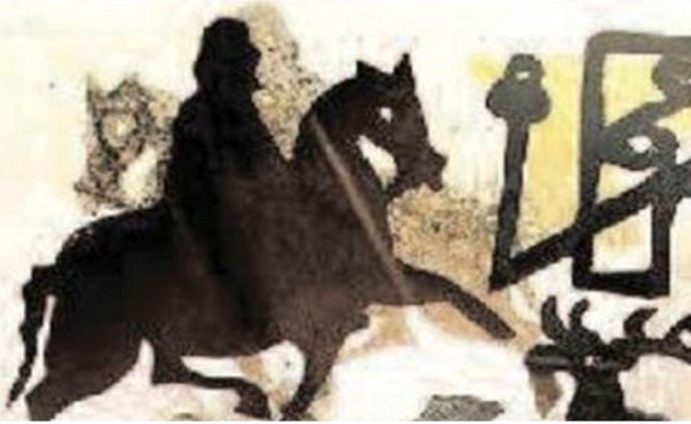 Participants are very welcome to bring along with them examples of specific problems/challenges that they have found when re-telling the tales of the Mabinogion, and any questions they may have regarding the texts themselves. Sioned Davies ‘Perfoming the Mabinogi’ at Aberporth, 2010. Retreat for storytellers under the auspices of Ty Newydd Writer’s Centre.